Thank you to everyone who stood in solidarity with us on the anniversary of Dr. Martin Luther King's assassination. His legacy lives on! Connecticut small business owners are being crushed by ever rising premiums, out of pocket costs and skyrocketing prescription drug prices. Join CCAG and allies as we build the momentum to make a CT Public Health Care Option a reality. Download a fact sheet here. UPDATE! The bill has been voted out of the Insurance and Real Estate Committee (other public option bills have advanced out of the Labor and public Employees Committee and Human Services). Right now Connecticut faces three challenges: the need to strengthen our economy, the need to stem the impacts of climate change, and to ensure that consumers are protected. ​The good news is that CCAG has a track record of leadership when it comes to tackling these multi- issue challenges. ​The following are some of the issues we are pursuing in addition to our regular agenda as a part of a special campaign to build on past victories and to reverse harmful decisions made at the state capitol. ​Read more here. ​CONNECT THE DOLLARS PROJECT (CDP) is a collaboration of Common Cause in CT and CT Citizen Action Group to expose attempts to buy our state. Connecticut super PACs, which can raise and spend unlimited amounts of money to support or oppose electoral candidates, are being used as a tool for a handful of wealthy individuals, lobbying organizations, and businesses to buy our elections to serve their interests. A massive influx of millions of dollars in super PAC donations thus far in 2018 — more than half of it from out-of-state interests — drowns out the voices of Connecticut citizens and candidates, undermines the goals of Connecticut’s strong campaign finance laws, and damages public confidence in the integrity of our election system. ​Like & Share the CDP Faceboook page to follow the money and connect the dollars! 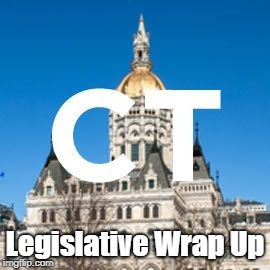 The 2018 Connecticut legislative session ended at midnight on May 9th. CCAG focuses on about a dozen key bills every legislative session. We monitor and comment on many others. Important bills often evolve over multiple legislative sessions.